Yesterday we celebrated with Laina and Sam as they got married at Arden Hills Country Club. Their ceremony was held outdoors at the Villa followed by an intimate reception in the East Terrace. Laina looked beautiful in her gown and she had such poise as she dealt with a wardrobe malfunction. Perhaps the two year old son that they share has taught her much patience! Speaking of Josh, he looked adorable in his tuxedo and he definitely gave us some memorable moments. Sam was a very involved groom, which we love to see, and together they make such a beautiful family. Congrats Laina and Sam! 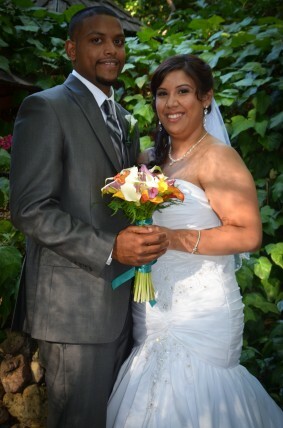 Over the weekend we finished up 16 straight weekends of weddings with Carolina and Brian’s wedding. 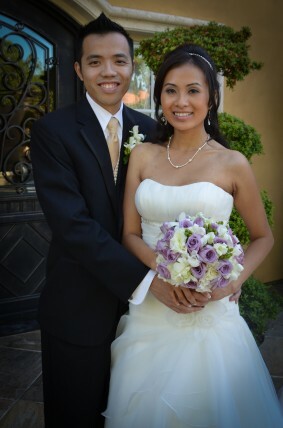 They had an outdoor ceremony and reception at Oak Leigh in Fair Oaks. They are headed off to Hawaii for their honeymoon and we are going to enjoy a break for the next two weekends before we hit the onslaught of September and October weddings!